Rocky Horror Show Aliens Invade San Diego’s Old Globe Theatre! 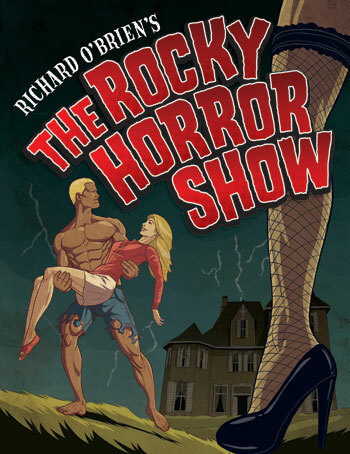 The Old Globe Theatre’s version of Richard O’Brien’s The Rocky Horror Show opened in the Conrad Prebys Theatre Center (9/15/2011 – 11/6/2011) to an audience of newbies (affectionately known as “virgins”) as well as long-time Rocky Horror Show followers. First timers to this live theatre show not in the know were caught off-guard by patrons dressed in costume and participating as if they part of the troupe, even going so far as to yell lines back at the stage. A cult classic from the early 70’s, Rocky Horror Show patrons are encouraged to participate by purchasing selected props made available by the Old Globe such as a newspaper, flashlight, balloon and playing cards. These props were then used at the same time the actors use them on stage. The acting was entertaining, the story line interesting and the costumes a little risqué making for a really fun adult experience.